YouTube said that a video showing Planned Parenthood officials candidly discussing late term abortions and organ harvesting was removed from its site only after a California judge ordered it taken down. A lawyer for David Daleiden, founder of the pro-life Center for Medical Progress, said that the video posted was "nothing more than a production of what is on file with the court." 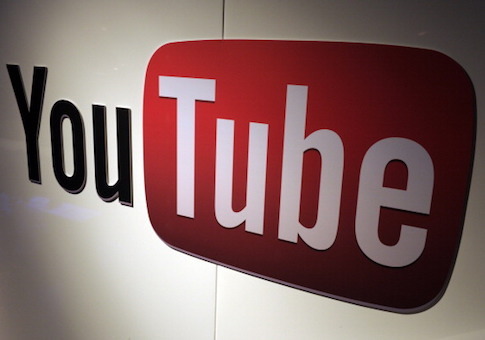 Steve Cooley said that YouTube pulled the footage, leading his law firm to remove the video from the website. He said that he did so "out of an abundance of caution." Federal Judge William Orrick, who had previously granted an injunction barring the release of videos taken at the 2014 and 2015 National Abortion Federation conventions, ordered that the video be taken down after it was released on Thursday. Cooley said that the indictment and injunctions violate First Amendment protections for speech and the freedom of the press. "We're defending the First Amendment. He [Daleiden] is under attack on many fronts. He's won virtually all of his cases and hopefully will win this one," Cooley said. "We're fighting for his right and the right of journalists to expose public corruption." YouTube has deleted a video that showed Planned Parenthood executives admitting abortion is "killing," leading pro-life activists to accuse the site of censorship. The Center for Medical Progress released undercover footage taken from the National Abortion Federation's 2014 and 2015 conventions through its lawyers on Thursday. The video included remarks from Planned Parenthood Michigan Medical Director Dr. Lisa Harris urging pro-choice advocates to concede certain rhetorical ground to pro-life arguments. She said that abortion doctors "see the fetus the same way" that pro-life activists do, but that does not alter "why [she comes] to work everyday." "Given that we might actually both agree that there's violence in here, ask me why I come to work everyday," she said. "Let's just give them all the violence, it's a person, it's killing, let's just give them all that." The link to the three-minute video now redirects to a message from YouTube, saying, "This video has been removed for violating YouTube's Terms of Service." It does not elaborate on which terms or condition the video violated, nor does it give a reason why it was taken down. YouTube did not return request for comment. Pro-life activists accused the site of censorship. Marjorie Dannenfelser, president of the Susan B. Anthony List, said that the website, as well as the media's refusal to cover the updated videos, amounted to turning a blind eye to organ harvesting. "Those in the press turning a blind eye to this evidence are doing a profound disservice to their profession and the public who depend upon their professionalism," she said in a statement. "A civilized nation dares not look away from such inhumanity. This trading in human flesh and body parts is indefensible and must stop." SBA List has also seen its advertising removed by a media company in the past. Washington, D.C., radio station WTOP pulled a pro-life ad in January that mentioned the organ harvesting videos because station employees disagreed with the language used in the ad. The video was uploaded to the site as CMP founder David Daleiden is under indictment by the state of California. NAF had previously obtained an injunction barring the release of footage taken from the convention and several of the participants featured in CMP videos were listed as Doe victims of illicit recording in the indictment. The investigation was initiated by now-Senator Kamala Harris and charges were filed by her successor, Attorney General Xavier Becerra; the pair received $47,000 in campaign contributions from Planned Parenthood and other abortion groups over the course of their careers. Daleiden has vowed to fight the felony charges relating to his investigative reporting. He faced a similar indictment in Texas over his use of fake identification and secretive recordings. The judge in that case threw out all charges in 2016. Daleiden did not respond to request for comment. Planned Parenthood, which all failed to respond to multiple requests for comment, has denied any wrongdoing in the case and described the videos as "selectively edited." In the fallout of the publication of the videos, which prompted congressional, state, and federal investigations, the nation's largest abortion provider stopped accepting payment for the exchange of human organs. Planned Parenthood has insisted that such charges were only related to reimbursing storage and transportation costs. The Center for Medical Progress has uploaded the deleted video to LiveLeak and has pledged to release raw footage of the convention in the near future. This entry was posted in Issues and tagged Abortion. Bookmark the permalink.